1 - 12 $10.98 ea. 13 - 24 $10.25 ea. 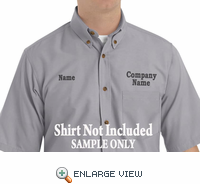 Basic Direct Embroidery, Company name with personal name is embroidery sewn directly into garment. 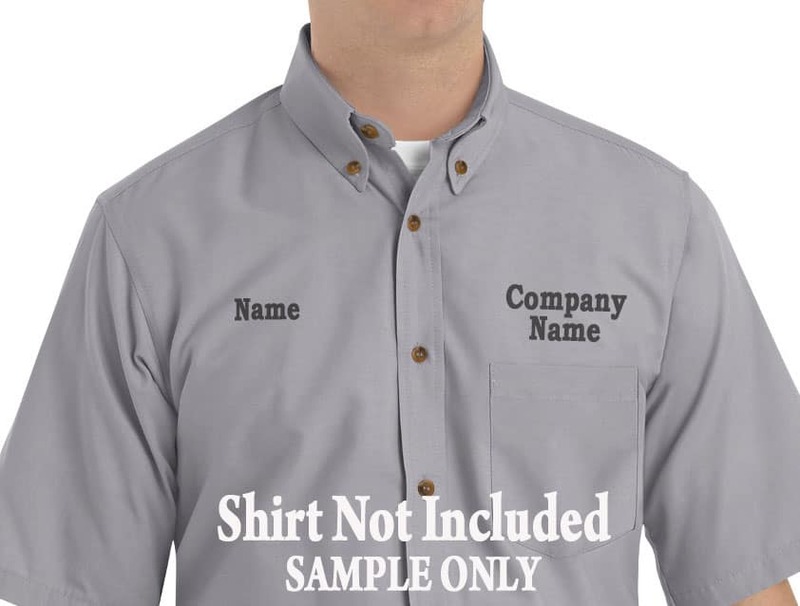 The Company name is sewn on the left side of garment over the pocket area and the personal name will be sewn on the right side. 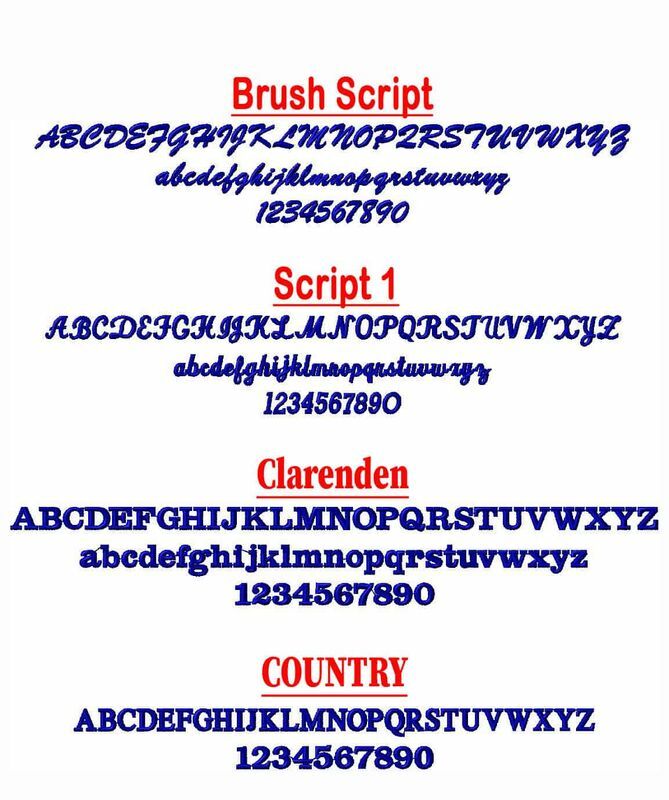 You can choose from several font styles and choose your thread color to be used. For dark garments a light color thread works best. You have multi lines to used for text, but only if needed. leave blank any text line that is not needed. What lettering (font) styles can I use and how many letters? See images above to see embroidery font samples. Typically, a single line of text can only include about 14 - 16 characters and spaces before it requires the text to be split into two lines.